This edition of the National Report on Human Development is published at a time when the world is about to enter a new era of multilateral cooperation, crucial for the future of the planet for the next fifteen years. In September 2015, on the occasion of the 70th session of the General Assembly of the United Nations, UN member states adopted in New York a new international agenda for sustainable development, including 17 Sustainable Development Goals (SDGs ) ambitious and integrated, aimed in particular the eradication of poverty and hunger worldwide by 2030. Called to take over the Millennium development Goals (MDGs) from 1 January 2016, ODD carry with them unprecedented innovations. Universal, these objectives apply to all. Cross, they integrate the three dimensions of sustainable development: economic, social and environmental. They reflect a transformative vision of the economy to sustainable patterns of production and consumption. With the recent economic downturn-and its impact in the region- as well as partially improved social protection systems in the region, UNDP estimates that about 1.5 million more men and women will back-slide into poverty by the end of this year. They will join the 1.7 million people in the region who already fell back into poverty in 2014 —for the the first time in a decade— according to UNDP estimates. This new upcoming report shows that what determines people to move out of poverty (good quality education and employment) is different from what “slides them back into poverty” (existence of social safety nets and household assets). 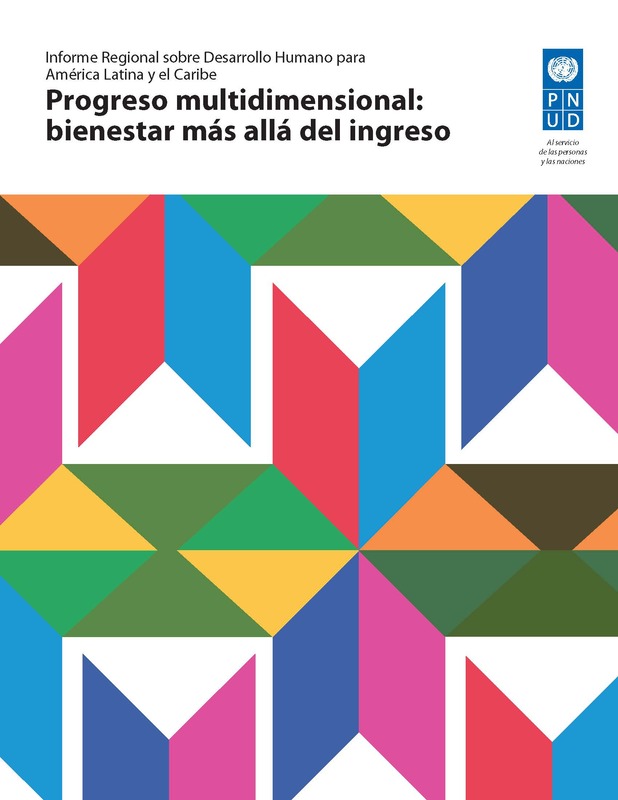 In this context the Regional Bureau for Latin America and the Caribbean at UNDP is preparing its 2016 Regional Human Development Report, which will also include policy recommendations that reflect the transition from the Millennium Development Goals to the new global development agenda, with the Sustainable Development Goals, which was approved in September 2015 during the UN General Assembly session in New York. This virtual space has the aspiration to become a discussion platform where written and audiovisual materials prepared by UNDP and citizensand citizens from the region can be shared, commented, discussed and serve as elements for learning and exchange. This third Human Development Report for Latin America and the Caribbean is an editorially independent publication commissioned by UNDP. 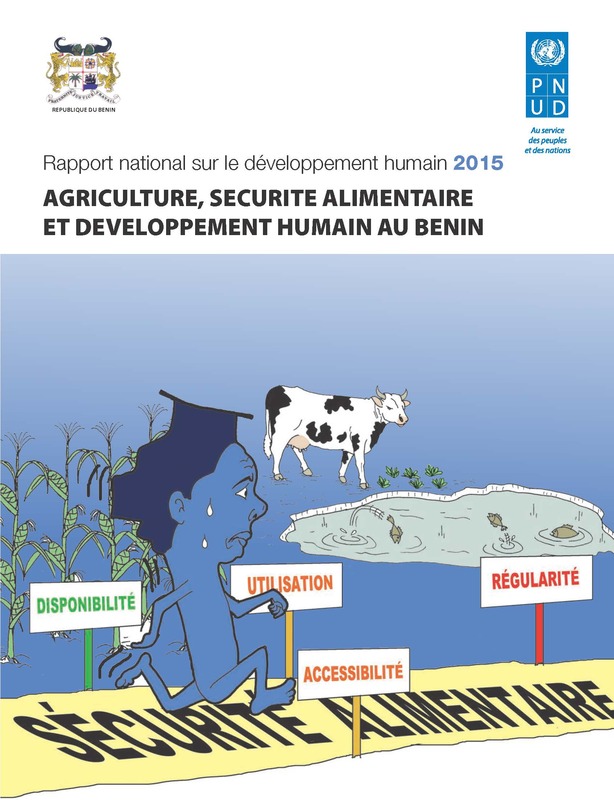 This report is being prepared with financial support from the Spanish Agency for International Cooperation for Development (AECID, in Spanish). Over 20 regional authorities take part in the report’s Advisory Board including Ministers, Senators, academics and the current leaders of the region’s major multilateral organizations. 26 April, 2016 - Demographic change in Asia and the Pacific is happening at a rate the world has never seen. An explosion in the working age population and a fall in birth rates that took a century in Europe are happening here in just 30 years. If countries do not start planning for this demographic change, they will miss out on a unique opportunity to boost growth and investments for the future, says the United Nations Development Programme (UNDP) in its latest Regional Human Development Report. They also risk a surge in youth frustration, exacerbating instability and conflict. 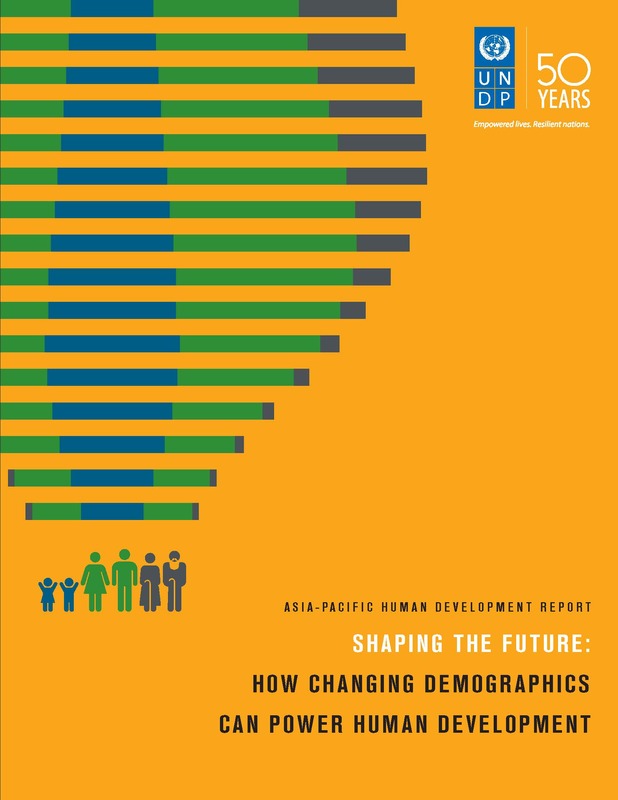 The report, entitled “Shaping the Future: How Changing Demographics Can Power Human Development”, notes that Asia-Pacific countries now have more working-aged people and fewer dependents than at any point in history, providing a springboard for growth. Region-wide, 68 percent of people are of working age and only 32 percent are dependents. “When countries have a greater share of people who can work, save and pay taxes, they have the potential to transform their economies and power investments in healthcare, education and other building blocks of future prosperity,” said Thangavel Palanivel, lead author of the report. The report calls for immediate responses and outlines “9 Actions for Sustainable Development”. These are concrete policies tailored to the demographic profile of individual countries. There is no one solution for every country, but the region’s diversity provides room for south-south cooperation. Governments need to share experiences on long-term fiscal planning, including the sustainable use of tax revenue. Cooperation can also encourage safe migration from younger to older countries within the region and reduce the desperate flight of migrants to Europe. 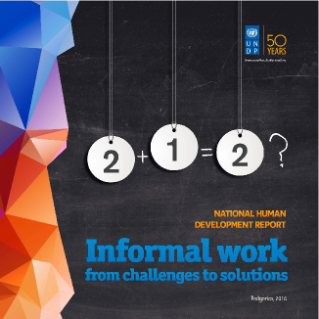 National Human Development Report 2016 "Informal work: from challenges to solutions"
National Human Development Report 2016 tackles the topic of informal work - a pressing topic that affects not only economy but all segments of society. Every third person in Montenegro is fully or partly informally hired which puts them at risk of poor social and health protection. The report is offering focused perspectives and analysis of national circumstances and strategies for reducing the scale of informal economy and advancing human development. The aim of the report is to bring together the human development facts, influence national policy and mobilize various sectors of economy and segments of society. It introduces the human development concept into national policy dialogue on informal employment—not only through relevant indicators and policy recommendations, but also through the country-led and country-owned process of consultation, research and report writing. NHDR on informal economy results in a set of policy options on how to reduce the volume of informal economy in Montenegro with the specific focus on informal employment. In other words, the report’s aim is to support the transition to formal economy. A set of adequate policies and ways to overcome the barriers to formalization were identified, while at the same time taking into account the most common limitations for the transition to formal economy.